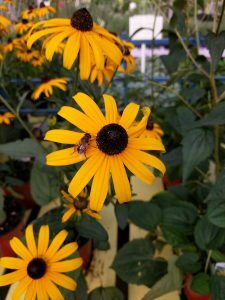 Gary Lewis at Phoenix Perennials sent us a list of the hot new plants for 2018. If you’re looking for something new and exciting for your garden, you won’t want to miss these. 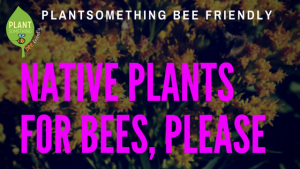 Please note, PlantSomething Bee Friendly isn’t sure how many of these plants are high in pollen or nectar – but sometimes you need a plant in the garden that is just for you. At Phoenix Perennials we love new and shiny things. Cutting edge plants bring us new forms and colours, better vigour, greater disease resistance, and more possibilities overall for designing and loving our personal spaces. 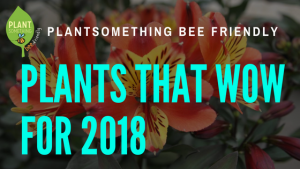 Here are some of our top picks from the hundreds of new plants we’ll have in 2018. 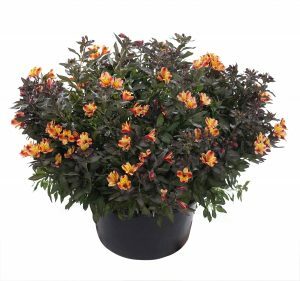 Alstroemeria ‘Indian Summer’ – A new Peruvian lily that Gary has been hunting for since he saw it in South Africa three years ago: luscious dusky burgundy foliage topped with fiery flowers of red, orange and golden yellow! Baptisia ‘Lunar Eclipse’ – A tough and long-lived lupin relative with flowers opening white and aging to dusky blue. The elegant spires are thus bicoloured in mid bloom with white on top and blue below. Cornus alternifolia ‘Golden Shadows’ – This pagoda dogwood will form elegant horizontal branches of gold and green variegated foliage. 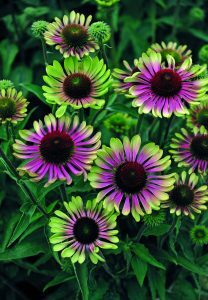 Echinacea ‘Green Twister’ – A vigorous new coneflower with red cones surrounded by lavender-purple petals with green tips. *Geranium ‘Lilac Ice’ – A sport of ‘Rozanne’, the world’s most popular cranesbill, with months of flower power but this one with icy palest lavender flowers with thin purple veins. Helleborus ‘Sun Flare’ – A dramatic Lenten rose with butter yellow flowers and red picotee edges. Helleborus Frostkiss ‘Cheryl’s Shine’, ‘Dana’s Dulcet’, ‘Reanna’s Ruby’ – These new hellebores from the Frostkiss series have bold pink, purple and red flowers with dramatically variegated foliage emerging in tones of green and pink or red aging to dark green with mint green veins. Heuchera Forever Red – The reddest foliage of all coral bells especially in spring and fall with rich burgundy red foliage in summer. Hibiscus ‘Airbrush Effect’ – A distinctive perennial hibiscus with vibrant pink flowers with salmon tones and a white shimmer. Hosta ‘Waterslide’ – Bold, thick, and rippling grey-blue to powder blue foliage holds its colour throughout the season. Hosta ‘Wiggles and Squiggles’ – Narrow, bright yellow leaves have incredibly wavy margin creating a distinctive look in the shade garden. 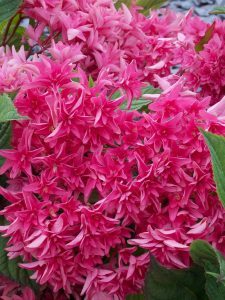 Hydrangea ‘Wow Time’ Princess Diana – A breakthrough hybrid between the big leaf and paniculata hydrangeas (H. macrophylla x H. paniculata) with crazy, double florets with narrow petals in glowing pink bubblegum tones never before seen from Hydrangea. Lycium ruthenicum – The black goji berry is packed with healthy benefits like vitamins and antioxidants and it looks cooler and more sophisticated than that old red one everyone has been growing. Mangave ‘Kaleidoscope’ – A dramatic hybrid succulent which is a cross between Agave and its relative Manfreda, with long, octopus-like, rubbery leaves in grey-green with burgundy spots and variegated edges in tones of pink and yellow. 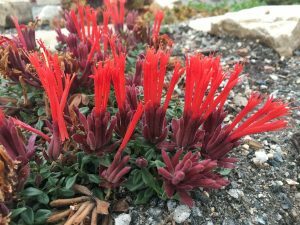 Monardella macrantha ‘Marian Sampson’ – A darling little groundcover with bright red tubular flowers that will drive hummingbirds mad. Passiflora ‘Snow Queen’ – Large, pure white flowers ooze tropicalisimo but are hardy to zone 8 for west coast gardeners. 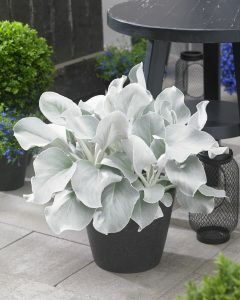 Senecio ‘Angel Wings’ – This could be the plant of the year or the year when plants become pets! Huge, felted, floppy, silver-white leaves beg to be caressed and loved and snuggled. Gary Lewis is the owner of Phoenix Perennials in Richmond, BC which carries more than 4000 different garden plants each year. Adding flowering plants, containers, and gardens to your yard helps bees and other pollinators find food. No matter the size of your ‘green space,’ plants help replenish pollinator food that was cleared in areas of development. Besides helping bees, property owners have other reasons to consider when investing in their property. Having a well-designed yard improves curb appeal and brings economic, environmental and personal benefits to the property. Home owners that invest in landscaping receive 100 – 200 percent recovery rate on their investment at time of sale; which is the highest rate of return on any home improvement. Alternatively, a poor landscaping design can decrease the property value by up to 10%. Certain ‘do-it-yourself’ landscaping practices can be a negative when the property is assessed; such as plantings too close buildings and trees or shrubbery planted too close together. If you’re not sure which direction to take your yard; talk with your local landscape professional to determine the right design for you. Some people opt for a large garden with lots of plants while others choose to have a well-cared for lawn. Although lawns may not seem like ‘a garden’ in fact they provide the largest number of plants in your entire yard. A healthy lawn has a bunch of benefits, making seeding grass a better option over gravel, crushed rock, pavement or artificial turf. Absorbs CO2, trapping the carbon and emitting oxygen (a 50 x 50 foot lawn can produce enough oxygen for a family of four to breathe for a year). Properly landscaped yards are also good for business. Customers are more likely to travel further when businesses are surrounded by well-kept plants. Studies show that businesses are easier to find from the street when they’re framed by green landscapes. Once there, customers are more likely to pay a 12% premium for goods purchased in a retail establishment that are accompanied by quality landscaping. Another reason you might want to consider a professionally landscaped yard is to save money throughout the year. Strategically placed plants can decrease heating and cooling costs (depending on the season), helping you save on hydro. 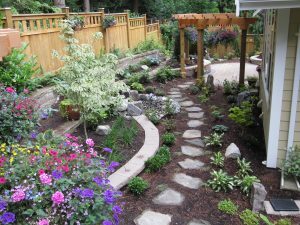 To find a contractor to work in your yard, our website has a list of BC landscapers that you can search by region. 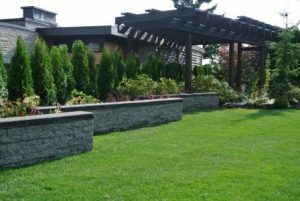 Alternatively, you can request a quote from accredited landscapers on LandscapeBC.com and use their tools for you to use to ensure that you are hiring the right company for the job. We are all familiar with European honeybees as pollinators (and a source of honey!) but there are a wide variety of pollinators, including many wild bee species, butterflies and others. 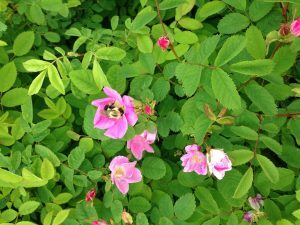 In fact, the Center for Pollinator Research at Penn State College of Agricultural Science reports there are several hundred thousand species of pollinators. While it’s impossible to track all of them, numerous studies have shown disturbing population declines and even local extinctions. By far the majority of food crops require pollinators, as do well-functioning native habitats that all earth’s creatures require, so this is a very serious problem. Many factors contribute, but one that’s well-known is a reduction in habitat that can support them. What can an individual do? Well, grow appropriate flowering plants, of course! 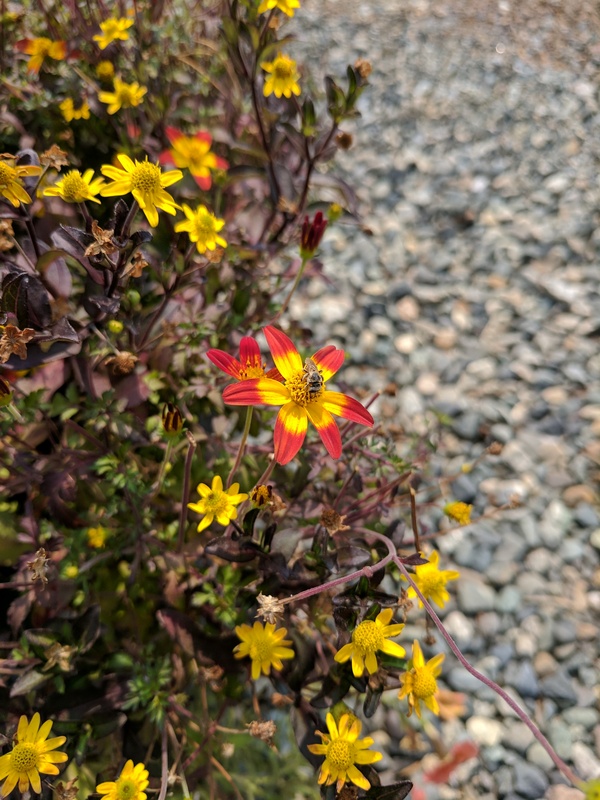 Choosing native species for at least some of what you plant is a good idea, since native pollinators are known to have preferences for plants they’ve evolved with over time. Stay away from plants that are, or may be, invasive in your area – no point in trying to help with one problem only to create another! See xerces.org/pollinator-conservation/plant-lists/ for more great information. You can also avoid using contact insecticides in your garden since they kill both good and bad bugs, and try to choose plants that have been grown without “neonics”, a class of pesticides which stay with the plants for many months and have been implicated in pollinator decline. Some nurseries like the one I work at have decided to err on the side of caution and are no longer using these products. There are many benefits to growing plants. 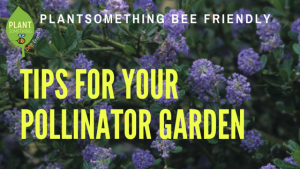 Tending a garden, however small it may be, and choosing plants with pollinators in mind is a thoughtful and responsible way to add enjoyment! 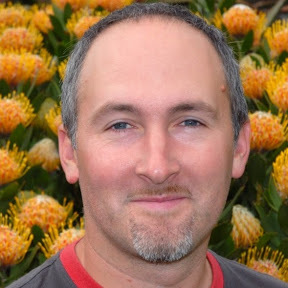 Article written by Haley Argen from NATS Nursery Ltd.
Haley is a horticulturist with a particular interest in and passion for how plants can be used to support sustainability, food security, and healthy ecosystems. She works for NATS Nursery Ltd, a specialized grower of native plants for 30 years and a leader in the area of environmental stewardship, and also runs her own small nursery. Hiring a professional landscape contractor, can be a complicated process. Many companies offer similar services but not all companies provide the same level of service or expertise. To help determine the right company for your project, LandscapeBC.com recommends rating your top three companies over 13 categories, including years in business, warranty and client references. A printable chart is available on the LandscapeBC.com to help research and rank the categories before hiring. Once you’ve decided on a company to hire it’s time to sign the contract. Having a signed contract between yourself and the contractor is an important step that shouldn’t be overlooked. This contract will act as a guideline, indicating the work to be completed and the agreement you had at time of signing. Having a signed contract keeps both parties on the same page and obligates the contractor to fulfill the terms and work outlined in the agreed upon contract. The contract may be amended if more work is required or requested, however, this work needs to be approved by both parties before it can be added. Ask your contractor to go on a walk-through of the project after the work is completed but before final payment is processed. 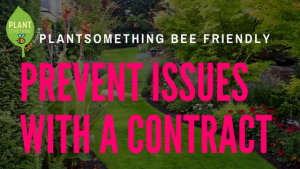 Make sure all work was completed by checking the items off of your contract and if you had plants installed get a detailed list. Reconfirm the process if problems arise and if your contractor will be fulfilling future service requirements. Finally, tie up any loose ends to make sure sub-contractors have been paid and that you’ve been properly trained on all installations. Having a signed contract from the start can help address issues after the project is completed. It’s an important step for maintaining a healthy relationship with your contractor and will keep the company accountable for completing the work they were contracted for. 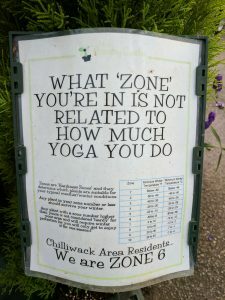 For more information, check out the LandscapeBC.com website. 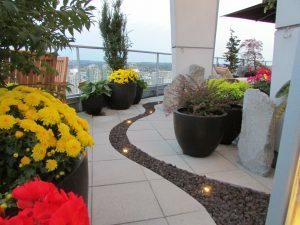 LandscapeBC.com makes finding a professional landscape company easier. You can find a list of bonafide landscapers and resources to answer many frequently asked questions. You can also request a landscape quote from many companies with a click of a mouse. Environmentalists have celebrated Earth Day since 1970 to activate the environmental movement around the world. This year Earth Day falls on Sunday, April 22nd and this post is to celebrate the environmental efforts gardeners make around the world. Gardeners are environmentally conscious people who make a difference every time they dig in the dirt. When resources are invested in a garden, nature becomes a huge component of a gardener’s life. All of a sudden weather patterns, bugs, animals, and soil become important and it becomes easier to see how everything’s interconnected. Gardening provides habitat and food sources for native birds, bugs, animals and bees. By choosing to create a garden, it helps restore destroyed ecosystem and let’s people live in harmony with wildlife while reducing the impact on the local environment. Here are the 5 tips outlined in the publication for keeping carbon in the soil and CO2 out of the air. Try to replace these carbon emitters with manual or organic solutions when possible. Soil is typically left bare when the plants aren’t growing. This can leave the soil vulnerable to erosion, weeds and carbon loss. Using a cover crop during the winter months covers the soil and helps avoid nitrogen losses, absorb carbon, avoid weeds, and absorb rain water. When you turn the soil over in the Spring, the ground cover provides soil fertility and a productive garden. Experts recommend grasses, cereal grains or legumes that can be grown during the fall and winter months as suitable ground covers. The amount of CO2 removed from the atmosphere depends on the size and speed of growth of the plants, making trees a hero of climate change. Aside from removing carbon from the air, trees also reduce the amount of carbon released into the air. Well placed trees can shade or block wind from surrounding buildings which impacts the energy use inside. For this reason, trees can stop CO2 emissions before they start. Turn leaves, grass, woody garden clippings, dead garden plants and kitchen waste into mulch or compost and use it in the garden. By re-using waste in the garden you will reduce methane emissions and increase the garden’s soil nutrients, a win-win solution. Your lawn likely contributes to the largest number of plants in your yard. As the grass grows in the Spring and Summer months, the lawn quickly absorbs the CO2 and is a green alternative over gravel or cement. Another trick is to leave the grass alone after mowing; the fallen blades of grass decompose and trap carbon in the soil while providing added nutrients. 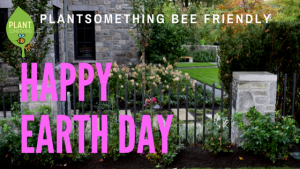 Hopefully this Earth Day encourages you to Plant Something… Bee Friendly! Find a garden centre near you on our interactive map – the world will thank you! You can make a significant difference by planting a flower. It may seem simple, or a bit silly, but the world needs you to plant more flowers. Why? Because, food. Actually, there are tons of reasons but today we are talking about the food. Both for us and the bees. Bees’ food is the pollen and nectar produced within flowers. Bees collect the food by flying between flowers and ‘accidentally’ pollinate the flowers through the process. After pollination the plant can produce fruit, seed, squash, nuts, ect. Without the bees’ help many fruits and seeds we eat everyday would disappear. 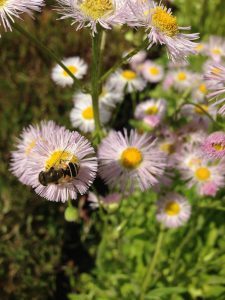 So, why do we need to plant flowers for bees? As the province continues to develop the bees’ food sources diminish. This makes it difficult for BC’s native bees to survive in urban centres. The native bees help maintain a healthy landscape in our cities as well as provide efficient pollinating services for the farms that surround our cities. Without the bees, our gardens would look bare and the abundance of fresh local fruits and veggies would diminish. Be selective when choosing your flower colours. Bees see in the ultraviolet colour spectrum, plant flowers ranging from yellow to deep purple. Avoid orange and red, these colours are invisible to bees. Group flowers together. By having the same flowers grouped together, the bees don’t need to relearn how to enter each flower. This increases their efficiency to pollinate the garden and provide food for their hive. 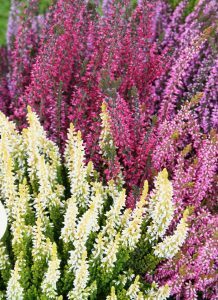 Plant diverse types of flowers in your garden. Having a range of flowers in your garden will encourage many types of wild bees to visit your garden. Some flower shapes are perfect for the large bumble bee while smaller flowers are better for other native bees. Offering a range of options also provides the bees more variety and nutrients as they collect food. Stick to single petal flowers. Although double petal flowers can be attractive, bees have difficulty navigating the flowers to find the pollen. For this reason, the single petal flowers are the way to go! Provide a dish with water and small rocks for landing pads. Bees get thirsty too. Having a small dish of water allows bees to find water while they are working in your garden. Make sure you add small rocks for the bees to land. Choose plants that bloom successively. This will provide food for the bees throughout the gardening season. By having flowers that bloom in the early fall and late winter, the bees can find food at the most crucial times. Try to avoid wildflower seed mixes. Unless you know exactly which plants are in the mix and how they will react to the environment, there’s a possibility that the wildflower mixes include invasive plants. But don’t be afraid of planting wildflowers in your garden when you know they are native to your region. Look for Neonic free plants. Research is currently being conducted to determine if Neonics have a negative effect on bees. It’s best to steer clear of plants grown with this chemical until we know how it effects bees. 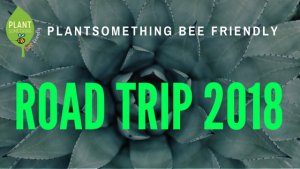 Find locally grown Bee Friendly Plants. 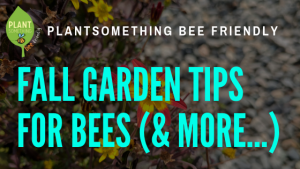 We’ve compiled a list of popular bee friendly plants you can include in your garden. Our list was carefully selected by local nursery growers to help you select plants that are grown in communities around BC. Using locally grown plants is particularly important as it helps reduce the risk of introducing invasive plants, bugs and other issues that can impact BC’s biodiversity. What’s the difference between pollen and nectar? 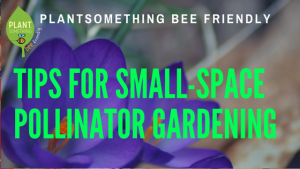 Use our searchable map to find local garden centres and landscapers in your area to help you create the perfect bee friendly garden in your yard. We’re lucky to have a mild climate in BC. When you’re a gardener, this is extra special because the mild temperatures provides 4 full seasons – meaning more time in the garden. 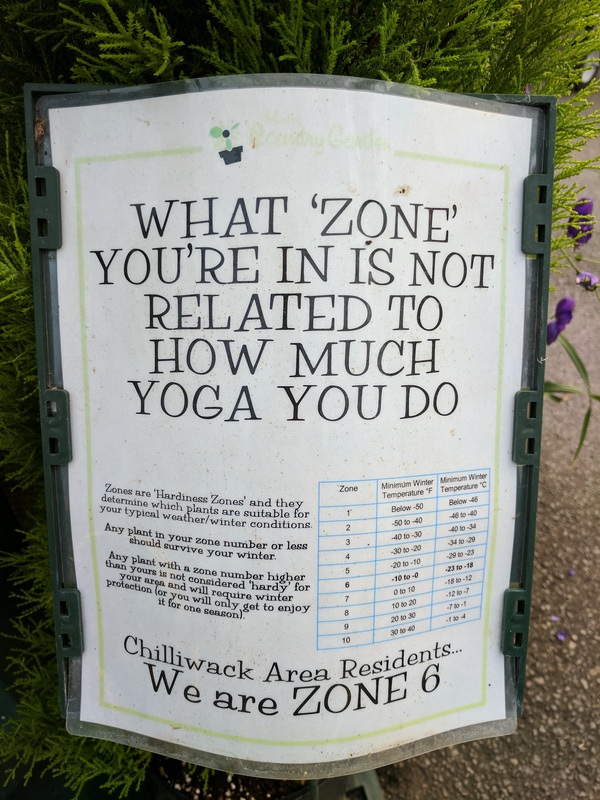 But what happens when you need a little extra help your garden? Maybe you’re installing a water feature or having the yard leveled. 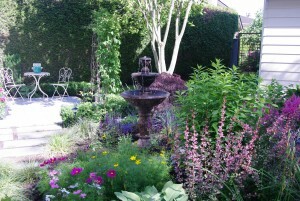 Or maybe you need some professional to create the garden of your dreams. That’s when you look at hiring a landscape contractor. With over 2400 landscapers in BC, it should be easy to find a landscaper that to help you with your project, right? Unfortunately, not all landscapers are created the same. Some landscapers have specializations and others may not be the right fit. Also, landscapers have varying levels of skills and education. With low barriers of entry into the industry, some landscapers are experts in the industry, while others have little-to-no training at all. This skill variance can make it a challenge to when hiring a landscape contractor. Asking what accreditations their staff hold is a good way to differentiate the pros from the amateurs. 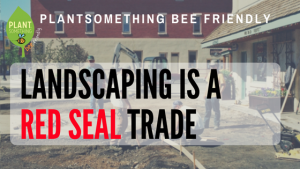 Although an unaccredited landscaper can still do a good job, knowing that your contractor has additional knowledge and training can provide piece of mind. Here are some accreditations you can look for. 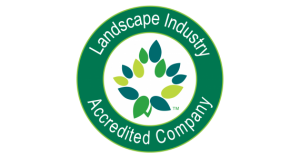 Landscape Horticulturist is a Red Seal Trade, meaning that a Certified Journeyperson has completed up to 4 years of combined education and experience. 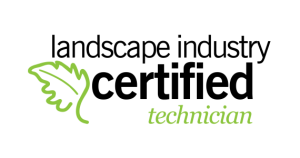 Landscape Horticulturist is a broad term to mean an individual who grows and maintain plants, creates and modify landscapes, constructs and maintain gardens, or installs and maintain hard landscape elements. In addition, they advise clients on issues related to horticulture and landscape construction. Before completing the program, a Red Seal Journey person must undergo 4 years of technical school and 6,480 hours of on-the-job training. This training is conducted under another certified Journeyperson or qualified tradesperson who is a designated trainer. With this training, employers and post-secondary institutions recognize that the student has participated in specialized, career focused programming. 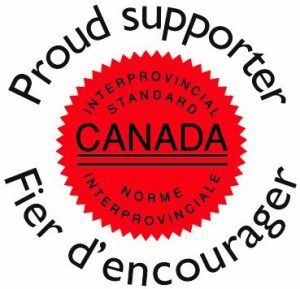 The Landscape Industry Certification program is supported and used internationally by the Canadian Nursery and Landscape Association and the National Association of Landscape Professionals. This program shows commitment to best practices and knowledge in the industry. To become certified, an individual must complete a series of written and hands-on evaluations. These are two other important certifications to look for. Both of these certifications require continuing education to ensure that the tradesperson is up-to-date on the latest knowledge and skills. Why should you look for these certifications? Hiring an accredited company gets the job done right, the first time. Although the lowest quote can be tempting, it can end up costing you more in the end. When your contractor doesn’t have the experience and knowledge behind them they can end up ruining your project, requiring a certified company to fix their errors. When you hire a certified landscape company, your contractor will spend time explaining what they are doing and educating you on best practices. They are more likely to do the job correctly and help you maintain a healthy budget. To help in your searching process, look on LandscapeBC.ca to find accredited companies, request a quote and find tools to make the vetting process easy. 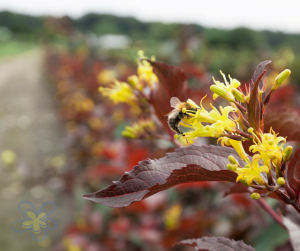 Pollinator friendly options exist in every plant category and fit even the smallest outdoor spaces. Whether you have a backyard or a balcony, it’s easy to find plants that work for you. In fact, the amount of sun your space gets is more important than square footage. The experts in your local garden centres are happy to help you find beautiful pollinator plants that fit your space. Ideally, your garden will provide pollen and nectar from spring to fall. Look for flowering times mentioned on the tag to help you organize. And don’t worry about finding everything in one trip; visit throughout the season to choose what suits your taste and blooms in the current or upcoming season. The bees, butterflies, and hummingbirds will thank you for providing a continuous energy source. 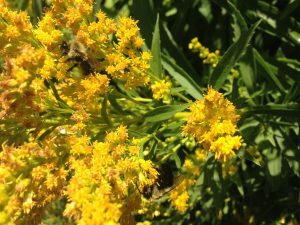 Pollinators that don’t migrate will need shelter over winter. Bee houses have become popular DIY projects and a quick Google search will offer plenty of building guides. By giving your pollinator friends a place to call home, their numbers and quality of life will grow. 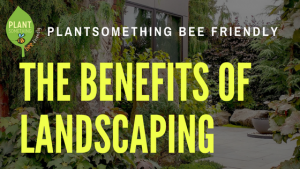 Landscapers are experts at creating ‘bee friendly’ gardens in any space. From large backyards to patios, the experts know which plants will be successful and create visual appeal throughout the year. In fact, every year landscape companies around the province enter projects for a chance to become a BC Landscape Award of Excellence winner. This is a prestigious award that includes projects from condo balconies to multi-million dollar homes. However, BC has thousands of Landscapers throughout the province which can make it a challenge to find the right landscaper for the job. Read our blog article on what to look for when hiring a landscaper. Having your own green-space, no matter the size, is important for both the bees and the homeowner. Besides, after a long, hot summer day, you’re more likely to spend your evenings on the deck instead of inside the home. Looking for easy care options? Bloomin’ Easy offers low-maintenance, pollinator-friendly plants that fit smaller spaces. Visit bloomineasyplants.com to learn more about their collection.